What is the Erie Canalway National Heritage Corridor? The U.S. Congress recognized the Erie Canal's significance to our nation by establishing the Erie Canalway National Heritage Corridor in 2000. The Corridor spans 524 miles across the full expanse of the upstate New York. It includes the Erie, Cayuga-Seneca, Oswego, and Champlain Canals and their historic alignments. The Corridor encompasses 4,834 square miles in 23 counties and is home to 3.2 million people. Upstate New York's largest population centers - Buffalo, Rochester, Syracuse, and the state capital Albany - all grew up along the canal and are within the Canalway Corridor today. From Buffalo in the west to Albany in the East. 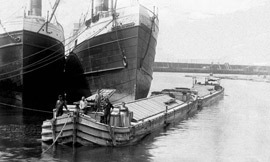 New York’s canals established a transportation network which made New York the “Empire State’’ and the Nation’s premier commercial and financial center. New York’s canal system has been in continuous operation since 1825, longer than any other constructed transportation system in North America. The Erie Canalway proved the depth and force of American ingenuity, solidified a national identity, and found an enduring place in American legend, song, and art. The canal opened the interior of the continent to settlement. 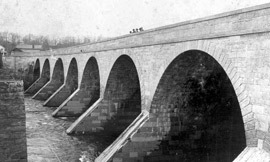 Population along the canal route in Syracuse, Rochester, and Buffalo quadrupled from 1830 to 1850; Today, 80 percent of upstate New York residents live within 25 miles of the canal. 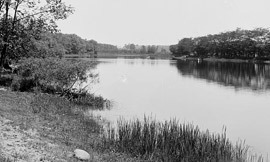 The Corridor’s waterways include approximately 40 percent of New York State’s freshwater resources and drain nearly half of the state’s total area. Its rivers, streams, lakes, wetlands, and rich woodlands are home to an impressive variety of fish, birds, and forest animals, including a number of threatened and endangered species. The federal government does not own or manage national heritage area lands as it does with traditional national parks. Because the Erie Canalway consists of both public and private lands, it is up to all of us to ensure that canals, towpaths, structures, and other historical and natural features remain preserved and accessible to everyone. 11 State Wildlife Management Areas, nine New York State Historic Sites, and 24 State Parks. Hundreds of miles of urban and back-country trails, including the country's longest continuous pedestrian and bicycle trail. 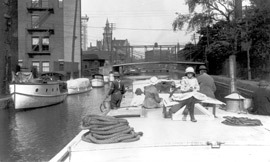 Erie Canalway National Heritage Corridor works to preserve and share our extraordinary heritage, to promote the Corridor as a world class tourism destination, and to foster vibrant communities connected by more than 500 miles of waterway.